Welcome to Buffalo Lodge! This beautiful 5 bed/4 bath home is 10 minutes north of the slopes and historic downtown Breckenridge. 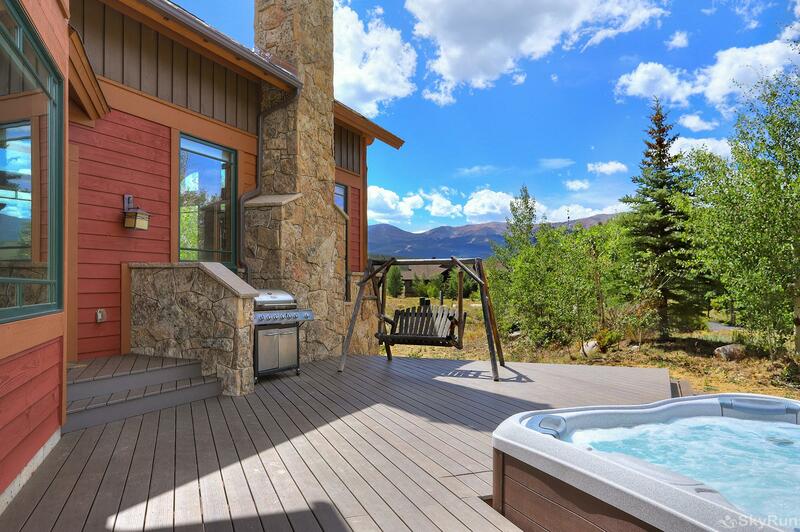 Step into this luxury home and you'll enjoy true contemporary mountain living at it's finest. From the chef's kitchen to the home theater to the 2 large master suites, this home was designed with luxury living in mind. Featured amenities include large over-sized three-car garage, multiple gas fireplaces, billiard table, and home theater. Stunning views from almost every room. Buffalo Lodge is ideally located within a quick drive to the lifts as well as the restaurants and shops on Main Street and during the summer months you have easy access to hiking and biking trails right out your door. The home features 2 master suites located on the upper level with excellent mountain views. The first master suite includes a king and twin trundle bed with a balcony, flat screen TV, office desk, and a 5-piece ensuite bath and walk in closet. The second master includes a queen bed with a balcony, flat screen TV, office desk, and a 5-piece ensuite bath and walk in closet. On the main level, there is a queen bedroom with a flat screen TV and a shared 3/4 bath. wThe lower level features a queen bedroom with a walk in closet and shared 3/4 bath and a bunk room with 4 twin beds and a flat screen TV.